One of the most nostalgic booths we saw at CES 2016 was Innovative Technology. What attracted me to their booth were these bluetooth speakers that have a HANDLE. It’s so rare that bluetooth speakers have something as convenient as a handle, so these really caught my eye. If they had included a digital radio tuner, I would have instantly fallen in love and went on a quest to find them. They have a HUGE line of nostalgic turntables that also play CDs. As far as radio bluetooth speakers, this one my least practical favorites. I love the huge gramophone design with its steampunk flair, an analog radio tuner and also connects to your bluetooth device to play your favorite tunes. They also had a wide variety of phones, turntables and bluetooth radios that were in the Fifties style. The suitcase turntables reminded me of my childhood, but I can’t imagine they would be popular. It surprised me how many different booths had suitcase turntables. I liked the design of this suitcase turntable the best. Of all the Fifties designs, I liked this radio bluetooth the best. Ironically, because there was such a huge resurgence of Fifties nostalgia in the Eighties, it reminds me of my childhood. They also had a selection of Eighties retro gear, such as these bluetooth radios. They also had a convenient handle. They were so focused on the retro, though, they kept the tuner analog. Had the tuner been digital, I would have been scouring the Internet for one of these cute boomboxes. I really liked the variety of styles Innovative Technology had available at CES this year. They might be using old designs, but they have made them new and fresh with bluetooth technology. Sling TV: Is It Worth It? You have been paying cable fees forever. You have been paying them for so long that the prices have slowly crept up for years and are now choking you at $130 a month. What if you could cut the cord and STILL watch live TV? That’s the idea behind Sling TV. It used to be that you had to buy a Sling TV adapter, but they have made it easier to get set up with them. If you want to watch the games on your phone or tablet, they have an app that allows you to do that without a DVR or television. If you want to watch it on your TV, you can do that with the Xbox One. Suddenly, live television is available to you for as little as $20 a month. They are quick to mention the channels that are included, but the channels that aren’t are quite popular. USA, MTV, VH1, BBC America, BET, and Bravo are just a few of the channels that are missing. Then, to get channels like The Cooking Network or The Outdoor Channel, you have to add them. To get as many channels as that bottom of the line TV line-up that you get with cable, you pretty much have to pay $45. If you want HBO, you’re looking at a $60 bill. And that doesn’t count the internet connectivity you’ll have to still pay the cable company. Is Sling TV worth it? Yes. If you travel often, Sling TV is the absolute best way to get live TV. If you usually have cable, stick with the basic cable package and you’ll probably come out ahead. It looks like the Beats Pill+ will be released next month and cost about $225. I haven’t been that impressed with Beats products, but this feature is really intriguing to me. The new Beats Pill+ companion app will enable users to control the speaker using a smartphone, with features including the ability to control music from two Bluetooth sources and sync two Beats Pill+ speakers together for either simultaneous or dedicated right and left playback. It’s cool that you can purchase two of them and get REAL stereo separation. The audiophile features aren’t impressive enough to conquer my doubts, however. The biggest problem I have with the Beats Pill+ is something so seemingly trivial that it shouldn’t stop me from buying one, but it does. It doesn’t have a handle. I want to be able to EASILY carry the speaker, whether it’s playing or not. I don’t want to put it into a backpack. I want to carry it. With a handle. That’s built-in. I looked long and hard for a good speaker system that would let me play my music from my phone or the radio. 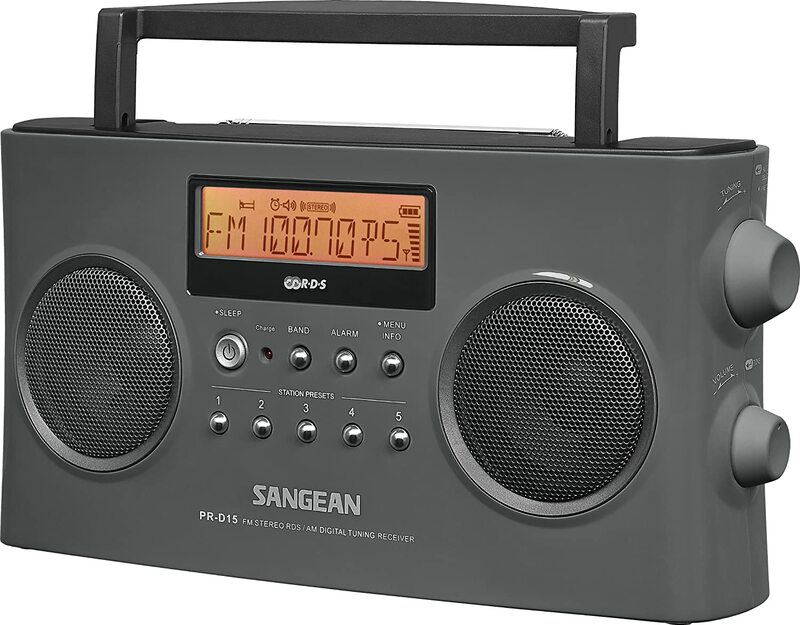 I ended up going with the Sangean PR-D15. It plays my music. It plays the radio. It can use rechargeable batteries. It cost me less than eighty bucks. And most importantly, it has a handle, so I can easily carry it. The Beats Pill+ might be super cool and all, but I want something that I can USE, even if it looks like a square box from the Eighties. I haven’t had cable for a few years now, but if I did, I would immediately be buying this TiVo. That funky arc shape isnt just there to stick out visually however, as VP Jim Denney told us it also allows the smaller box to vent from the bottom. Its a rather unique design, and in our short time using it the box stayed cool and quiet. Additionally, The Bolt has the ability to skip commercials. That alone makes it worth having. Now, the DVR isn’t as good as some. It has four tuners (some of the best have six), but being able to record FOUR shows at a time is plenty good for me. Gadgets like the TiVo Bolt make me wish that I had cable again. In a lot of respects, I do miss it, and having something like this stylish DVR might just convince me to join the fray again. AKG’s Q701 headphones, endorsed by Quincy Jones, are a slightly modified version of the K701 headphones they have been making for years. Fortunately for those of us who aren’t used to paying $300-400 for a pair of headphones, they have recently come down in price. Mine cost $169 from Amazon, compared to the $450 you can still pay for the K701 at some music retailers. In this review I’ll explain why you might want to pay this much for headphones, and see how they measure up to the price. The first thing you notice about the Q701 headphones is their retro look. They have very large earpieces connected by a plastic frame and a headband that moves up and down with elastics. This allows them to automatically adjust to fit your head. Despite being made in China they feel very solid and high-quality. While these are nearly identical to the K701 headphones in appearance, the distinctive Quincy Jones features include green stitching on the faux-leather headband, Quincy’s signature on top of the headband, and a green audio cable that is detachable using a mini-XLR connector. In fact, two green cables are included. One is long, about 10 feet, and the other is ridiculously long, about 20 feet. The Q701 headphones are available in three colors. I got the understated black version. There is also a black-and-white version, and one in a unique bright green that matches the audio cables. First of all, let’s get this out of the way: If you’re used to cheap headphones, or even expensive consumer headphones like Beats, these will be a surprise, and possibly a disappointment. This is because these are studio headphones, and they have a flat frequency response–this means that, as much as possible, they play low sounds and high sounds at equal volume. Depending on what kind of music you listen to, this may not be flattering–Beats headphones, for example, make most Rock and Hip-Hop music sound better by exaggerating the bass. These, on the other hand, are meant for use in recording studios. If you listen to them while making music, they will give you an honest picture of what it sounds like–exactly what you need. If you can make music sound good on these, chances are it will sound great on other headphones, stereos, or car systems. Another thing that makes these different is their open design. There are holes on the outside of the earpieces, allowing the sound of the headphones to escape into the room and the sounds in the room to reach your ears. This makes them sound more like listening to speakers–the music sounds like it is playing in the room, not playing in your head as with closed headphones. Along with musicians and engineers, serious gamers should enjoy these headphones–because they’re so clear at all frequencies, they’ll make it very obvious if something is sneaking up behind your character. They would also be great for fans of less bass-heavy music genres, like Classical or Jazz. Personally I think techno and dance music sound great on them too. As far as anyone has been able to determine, the Q701 headphones use the same audio components as their more expensive siblings, although they are made in China instead of Austria. Along with the audio quality, the construction of the headphones is very good. The plastic bands that connect the earpieces seem fragile at first, but they have survived being dropped a few times with no trouble. Some people find the fit of these headphones annoying, and I can see why–while they don’t press against your ears like normal headphones, they do press against the top of your head. This is due to the elastic that adjusts the fit, and I’m sure it will press less after being used for a while. But if you are bald or have a sensitive scalp, you might find them uncomfortable at first. The good news for me is that they do fit–I have an unusually large head, so most hats and many headphones don’t fit very well. The one thing I don’t like is the 10-foot-long green audio cable. While it works fine, I find a long straight cable is always getting under things. I’ve rolled over it with my desk chair several times. Fortunately, the cable is detachable and AKG sells a nice black, coiled cable for $39 that should solve this problem. If you’re looking for a good quality pair of open-backed headphones for a studio, or if you’re a fan of Classical music or Jazz, or if you spend lots of time playing games on headphones, these are a great choice, and they’re far better than others in their price range. While you can get decent headphones for a much lower price, the Q701s are well worth the extra money. This year at CES, they have upped the ante a bit. Instead of an LED light source, they are using a laser and it also has auto focus, so no matter where that wall is, it will be clear and bright. They were showing it off in the bright lights of the showroom floor with barely a cover over the screen and it was easy to see. We tried to show how quickly and easily it refocused on the James’ shirt, but it didn’t show up well in the picture. Let me assure you, it refocused perfectly on his chest just as well as the screen behind him. Long ago, we researched digital projectors and they were HORRENDOUSLY expensive. To see these tiny boxes that cost less than the replacement halogen bulb in the old projectors is AMAZING! I’m not really into really thin televisions, actually. Ever since TVs got thin enough to mount on the wall, I’ve been happy. No need to go thinner, as far as I’m concerned. They’ve name it the Sony Bravia X900C and it IS really thin on the top (4.9 mm), but there is a wide bit at the bottom, so it’s not like you can have this television mounted to your wall and it will only stick out that 4.9 millimeters. It will still stick out two or three inches from your wall. Apartment Therapy has a great tutorial showing you how to make your favorite earbuds both colorful and tangle-free using embroidery floss. The tutorial suggests using the Chinese Staircase knot style to create this, but you could just as easily use the similar knotting style with only ONE thread because you’re going around the edge of the earbud cords, you only need ONE strand of embroidery thread instead of three like they’ve shown in their tutorial. Either way, you’ll end up with earbuds that won’t tie themselves into knots every time you shove them into your computer bag or pocket. One of the nice things about working at Gadgets Page is getting to try products that other people didn’t like. 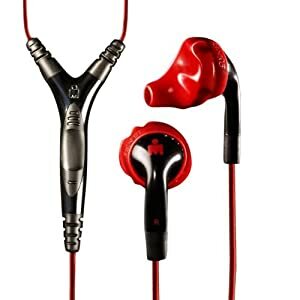 Yurbuds are earbuds designed to stay in while you’re exercising. Like many earbuds Yurbuds has mixed reviews and I think this is the cause; Yurbuds, because they are designed like custom earbuds, may not fit a certain type of ear. 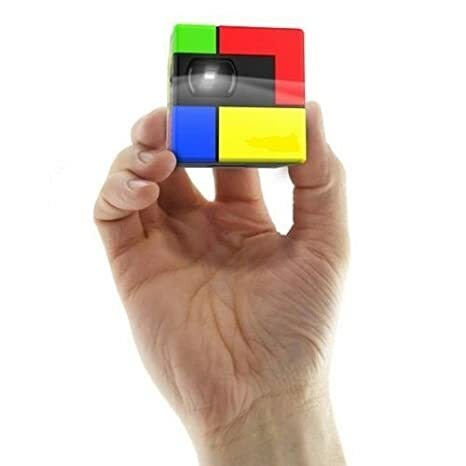 Like many products that come in multiple sizes they may not fit everyone. This is much more apparent in a product like shoes. Nothing made in bulk can be perfect. These just fit a lot more people than some others do like the apple earbuds. Personally the Yurbuds fit me quite well and are much more comfortable than anything else I’ve tried. They stay in my ear and they don’t hurt after a short period of time of wearing them. I like them and find them much nicer than headphones and other earbuds. Yurbuds are quite expensive though. The ones I have sell for about 35$ or 40$ on Amazon. Thats the same as a few cheaper pairs of earbuds, but whether or not its worth it is up to you. Looking at other reviews I noticed that reviews almost alternated in saying “The sound is amazing” and “The sound is horrific.” Though the truth of the matter is that the sound doesn’t really matter much while you’re exercising. One thing that bothers me about them is I can’t get the covers to stay on the earbuds it came with. When I put them in my pocket for a while the covers almost always fall off. Its only a minor annoyance, but still. In my experience with them I have found that they work as advertised for me, but that doesn’t mean that they work perfectly for everyone. I like them and they work for me, and I think that you should give them a shot. In January at CES, the nice people at Yurbuds gave me a pair of their ear buds to test for The Gadgets Page. After two months of using them, I’m finally ready to write a review. The promise was that Yurbuds would stay in my ears through the sweatiest workouts and they wouldn’t hurt. At the booth at CES, they measured my ears and said that the size 5 buds would fit in my ear, stay there and not hurt me. That’s a tall order. I’ve never been able to use the Apple earbuds because they just fall right out of my ear. I’ve always had to use the in-canal ear buds, but after a half hour running, they hurt and need to come out, not to mention the gross factor of ear buds that have been in my ear canal and covered in ear wax. Blech! The folks at the CES booth were quite adamant about the correct way to put the Yurbuds in my ears. I made sure that every time I put them on, I twisted them into my ear, just like they showed me. I’ve tested the Yurbuds for the last two months, during the cold walks and runs of January and February. Honestly, I was quite impressed with them. They had only fallen out once, when my hand hit the cord and literally YANKED them out of my ears. I used the microphone once when my mom called during a workout and she was able to hear me and understand me while I talked. I used the button to advance past songs that I was sick of and it was handy as well. But yesterday was different. It was a warm day for my walk, so all I did was throw on a hoody instead of piling on the fleece and layers. I couldn’t keep the damn earbuds in my ears. They fell out three or four times on my half hour walk. After two months of great workouts, I couldn’t understand why they stopped working, and then I remembered. During the freezing walks of January and February, I had always worn my fleecy ear band. Not only did it protect my ears from the cold, it was keeping in those Yurbuds. Yesterday, it was warm enough that I didn’t need extra protection. That’s why they kept falling out. This morning, the freezing wind whipped the house noisily, so I bundled up. My Yurbuds stayed in place under my ear band and hat. I realized, with disappointment that the promise was not to be. Ear buds that shape just do not stay in my ears unassisted, and if your ears are shaped the same as mine, sadly, Yurbuds won’t work for you. As soon as the weather warms up, I’ll have to relinquish my Yurbuds and return to the gross and painful in-canal ear buds that I’ve used for the last three years. I really hoped that Yurbuds would work for me, but sadly they weren’t quite good enough.